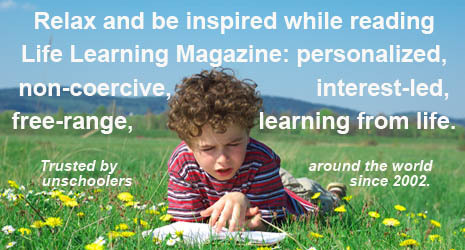 We would love to have you contribute to Life Learning Magazine! Please read these guidelines prior to contacting us. Also, please note that we do not accept advertorials, articles promoting products or businesses, or paid content. Life Learning was founded in 2002 to publish articles for and from the international community of people living and learning without school (and without schoolish practices or compulsory attendance at a school or learning center). It continues to be a free, web-based source of information and inspiration with new articles uploaded regularly. You can learn more about us here. Before querying us, please browse the articles on this website to get an idea of the sort of material we publish, and to see if we've already published something similar. But do not let those categories limit you; if you have a specific article idea, please send us a proposal! You do not have to be a professional writer to contribute. Life Learning is mostly written by its readers whose contributions reflect their personal experiences with life learning and non-coercive parenting. Life Learning articles dig deep and challenge the assumptions related to "experts" (whether within the homeschooling community or outside it). We are not afraid of controversy. We use the term "life learning" rather than "unschooling." Our readers are located around the world. Therefore, articles should not focus on any one country/region or on political/legal issues relevant to just one country or area. If required, your article will be edited for spelling, punctuation, grammar, clarity, consistency, gender neutrality, and other issues in tune with our editorial style. If major renovations are required, your article will be returned to you with suggestions for reworking it. We reserve the right to edit or replace the title of your article if necessary; if we do that, we try to incorporate your title as a subheading. We are unable to pay contributors. We will provide you with a bio paragraph that accompanies the article and feature your photo and bio on our contributors page. 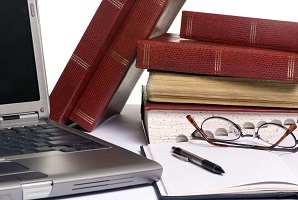 By submitting an article, you are agreeing to have it published on this website and as part of any compilations of Life Learning articles that we may publish in the future. You will retain all other rights to your work. Please query me by email with either your finished article or an outline of your proposed article and a bit of background about you and your experience with the topic. I appreciate your interest in contributing to Life Learning and look forward to helping you share your thoughts and experiences with our readers!